Sweating is good when you exercise, but with the right fabrics and fit, you can keep your cool and get a great burn at the same time. Check the labels when you buy and look for the word "WICKING" and "BREATHE". Synthetic fabrics that breathe and "wick" the sweat away from your skin can help it to evaporate and keep you cool. Look for Powermax(r) and Coolmax(r) fabrics on the label for extra sweat wicking protection. Stay away from Tencel, plastic-based polyesters and cotton. Tencel and polyester don't breathe so they trap moisture and make you hotter. Cotton absorbs sweat, making you feel and look wet. Wear shorts or tight-fitting leggings and avoid flapping wide legs and sleeves that could get in the way as you exercise. Wear stretchy, fitted fabrics, like this tank from Lucy and yoga pants made with Powermax@, a breathable fabric. ivivva athletica , a member of the lululemon athletica family that focuses on apparel for active girls, features a 4-way stretchy luon®, anti-stink silverescent™ and the made-for-gymnastics, foam-resistant power luxtreme™. Loose, comfortable clothing that lets you move freely in your clothes for game-winning performance. 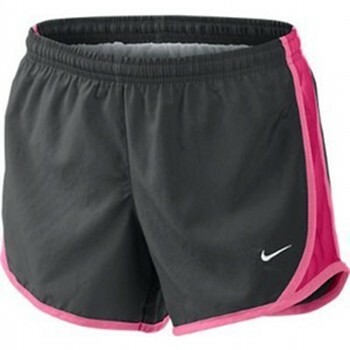 Nike is the king of sport clothing, and they feature clothes for all ages, shapes and sizes with Dri-FIT fabric and a comfortable fit. SweatyBetty is another company to check out. 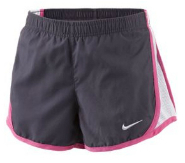 Their prices are higher, but they focus specifically on sweat protection and style. 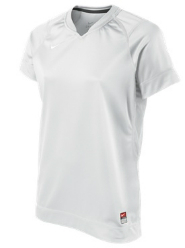 Many of the clothes are made with SweatTech Light, which is a sturdy, lightweight, moisture wicking fabric. Sweaty feet don't just stink, they are unhealthy! Wet feet can lead to foot fungus, chafing, scaly feet and blisters. Protect your feet with a good pair of workout socks. 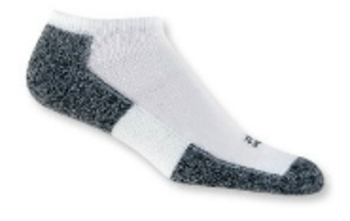 Thorlo makes three heights of socks -- crew, mini-crew and micro mini-crew (shown here) -- with Coolmax(r) construction to wick moisture away and cool off feet. Cushoining in the toe and heal offer blister protection. Workout socks cost more than regular socks, but for a good sweaty workout, you'll need 'em! What's your sport of choice? Do you sweat a little or is working out no sweat for you? Comment below!